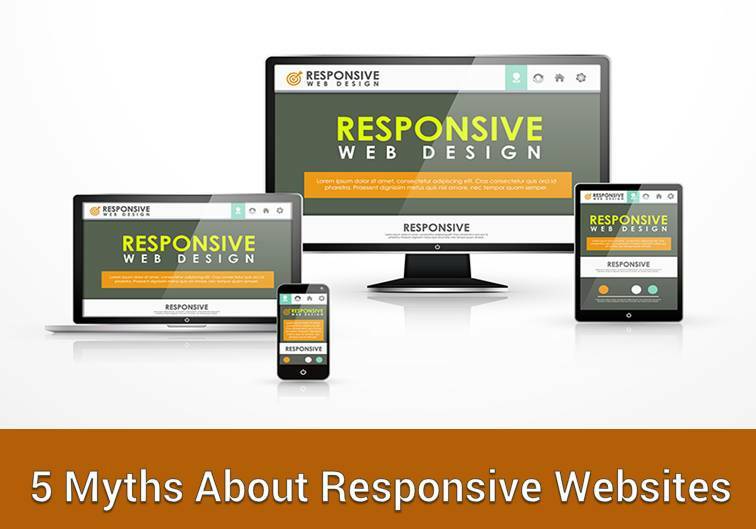 But is a responsive website the best option? Let us take a look at some of the myths that surround this system. False. The growth of this method parallels the rise of mobile, but its primary purpose is to cleanly and automatically adjust page elements across various devices like desktops, tablets, and smartphones. False. This approach functions equally well for large, complex websites with lots of content, as proven by major corporations like Microsoft, Mashable, and Disney. False. Many responsive websites, especially those that utilize HTML5 and CSS3, are not supported by older browser versions. Different versions of the same browser can fail to support different design processes, which further complicates cross-browser testing. False. There are thousands of devices, and their variations, available on the market. From the client’s and company’s point of view, it’s impractical and unfeasible to test every available device. False. A responsive website uses the same set of code to adapt the desktop experience to a mobile screen, which makes it hard to customize the user experience and flow for mobile. The best way to overcome this is to go for a unique, mobile-only optimization. A responsive website is a great first step toward complete mobile optimization. To know more about how you can achieve this, contact our specialists at Global Media Insight. We’re always happy to help.